Real Christmas Trees are grown on family farms in the United Stares and Canada, contributing to local economies. Choose and cut farms further contribute locally by customer patronage of restaurants, hotels and motels, shopping and services. Real Christmas Trees are an agricultural crop, grown, harvested, and replanted like any other crop. The myth of killing immature trees for the Christmas season is just that, an uninformed myth. Real Christmas Trees are planted in fields where natural ground covers are used for soil retention, resulting in habitat for small animals and birds. Flowering flora also attracts predator insects, resulting in biological control of damaging insects. Christmas tree farms support complex eco-systems. Real Christmas Trees are a contributor to the health of the environment. In the United States alone about a half million acres of Christmas trees absorb global warming carbon dioxide and release enough oxygen to support about 9 million people daily. Real Christmas Trees are a natural product. Even when sprayed for pests chemical residue on cut trees is negligible due to the natural cleansing of weather. Real Christmas Trees are recyclable. 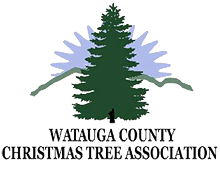 After contributing to the joy of Christmas, trees are collected by most towns and cities and rendered into bio-degradable mulch. A great many are used at beaches and rivers to control wind and water erosion. Placed in ponds trees provide safe havens for minnows. Fake Plastic Christmas Trees are manufactured from petroleum and waste petroleum products. The resulting plastic is typically PVC, a highly toxic material containing lead, chlorine, and dioxins among other chemicals. Fake Plastic Christmas Trees sold in California are required to have a Lead Poisoning Warning Label to comply with Proposition 65 (www.aphis.usda.gov). Fake Plastic Christmas Trees contribute to climate change. Fake Plastic Christmas Trees are not recyclable. When no longer usable they contribute to the landfill problem. Fake Plastic Christmas Trees are dangerous to the environment. In 2004 the US Department of Agriculture initiated a recall and quarantine of a large number of Fake Plastic Christmas Trees from China. The untreated wooden center poles of the Fake Plastic Christmas Trees were infested with the Brown Fir Long Horned Beetle, a wood borer not native the United States and potentially devastating to local trees. Fake Plastic Christmas Trees, contrary to deceptive advertising are flammable. ** Balsam Hills Christmas Tree Co.